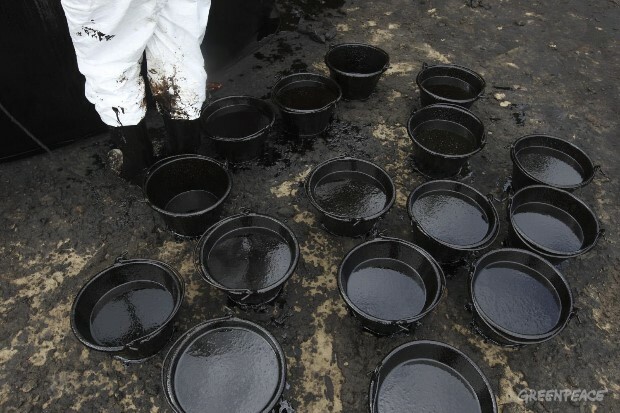 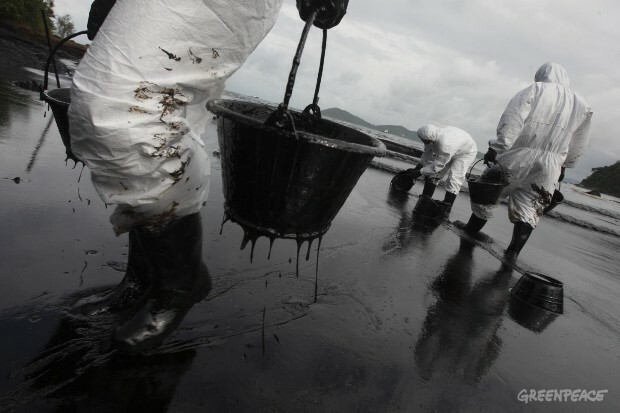 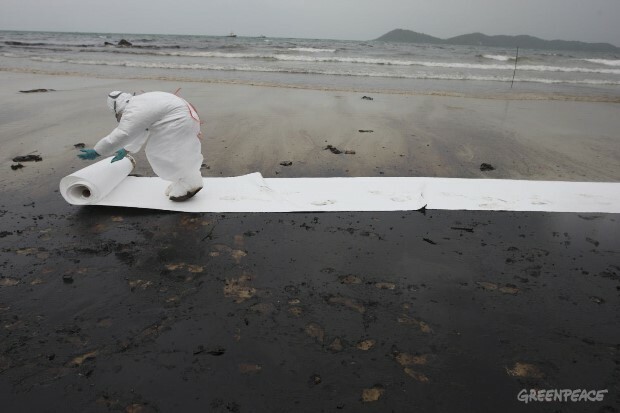 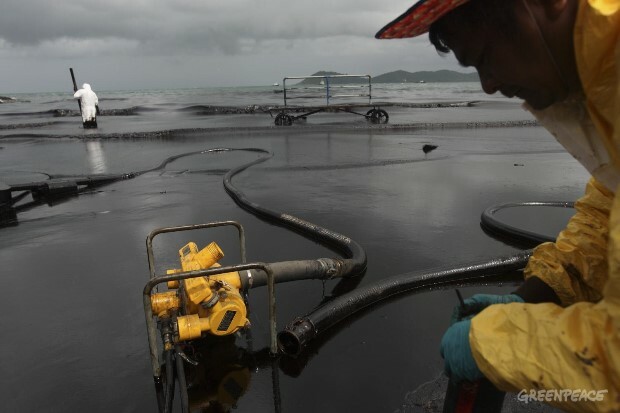 Clean up operations are taking place in Thailand after an oil spill in the Gulf of Thailand occurred on Sunday night. 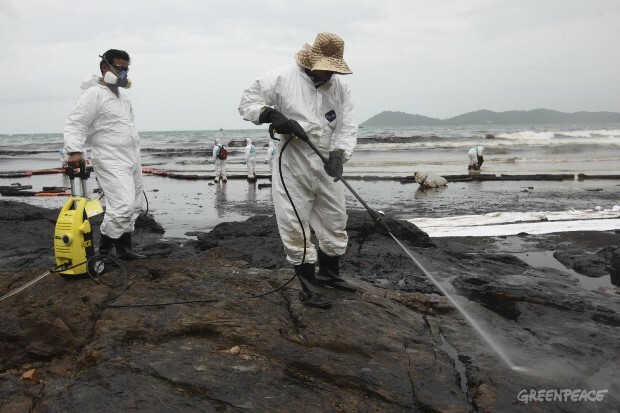 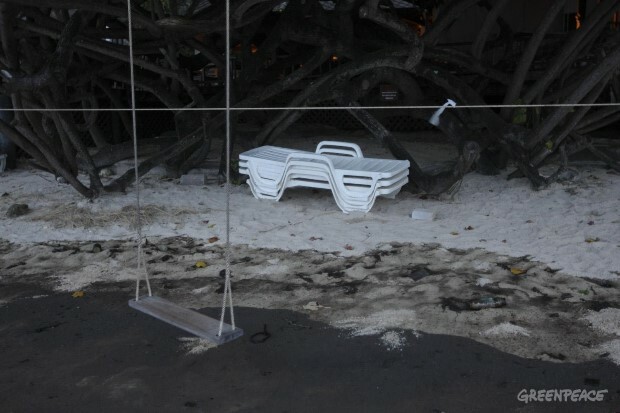 The spill happened at an offshore oil platform in the Rayong province and has devastated the popular tourist destination, the island Koh Samet, below pictures illustrate the scale of the spill and the clean up operation. 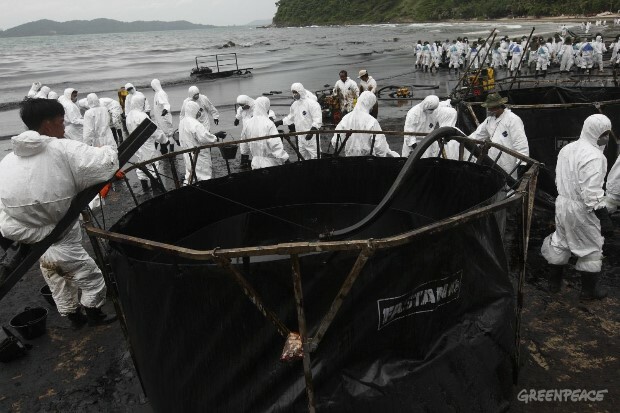 50,000 litres (12,200 gallons) are estimated to have been spilled.